Whatever plans you have for your construction or remodel project, they will probably change while the project is in progress. That sort of thing is inevitable. The inevitable side effect is that it will cost you more money. Before you sign a contract to begin work, take the following steps to help ensure that you get what you want and expect. Furthermore, taking these steps will help to save you money, possibly some serious money. If you have ever talked to anyone about their remodel / construction project, it is pretty likely they mentioned that it went over budget. I haven't ever met someone who said it cost less than expected - not ever!. There are a lot of reasons that a project can (will) run over budget, and the most common one is changes made by the homeowner. Sure, the unexpected can happen and thus there is extra expense to solve some unanticipated problem. But most extra expense is the homeowners fault. Making changes isn't necessarily a bad thing, and if you ask for more work, you expect to pay more. Nothing wrong with that. But failing to plan thoroughly can be an expensive proposition. Letting work progress and then making a change that requires work to be undone and redone to the new specs, that is just wasteful. And yet, many people do just that. One common cause for a mid-project changes is that you aren't getting what you expected. One reason can be that the plan on paper looked fine, but in real life isn't what you had imagined. This is why it is important to do in-depth research. If a room design is to be 10 feet by 10 feet, find a room that size to make certain the size is adequate for your purposes. If the ceiling in your basement will have to be 6 feet and 6 inches high, stand under something at that height to get the feel of what it will be like. If the builder described your home's facade to be a classic ranch style, have them draft a front elevation so you can see what it will look like. If the design specifies Romanian tumbled marble for the floors, go see it in a showroom. Sometimes the homeowner has a new idea that only occurred to them after the project has started. In this case, implementing the change will likely increase the cost, unless the idea was to delete something. Of course, this is a case of ask for more, get more, pay more - all perfectly acceptable. However, it may add excessive cost if it requires work to be redone. For instance, after the dry wall has gone up would be a bad time to add an extra bathroom upstairs. That should have been done when all the framing was exposed. It isn't a problem, it can be done, but it will cost more than if you have thought of it sooner. On the other hand, it is cheaper to do it now than to do it sometime in the future after this project is completed. The point is, try to anticipate and decide upon what you want before the work starts. Another reason things can go awry is a matter of vision, specifically differing visions. Don't take it on faith that your vision of the project and the vision of your builder / architect / designer is the same. Listen closely to what they say and if something doesn't sound right, challenge them. You want what you want and your deserve it because you are paying for it. If you and the person you've hired can't communicate effectively, that is a good indication that there will be problems. Use pictures you've clipped from magazines to show them what you mean. Ask them to provide drawings and pictures for you to look at. Images can convey so much that is ambiguous in spoken language, it would be a mistake not to take advantage of them. One small point on communication, be careful when using jargon and technical terms. I've heard stories where the customer issued instructions and misused a term, the professional did as instructed and the result was wasted money. One case involved a couple who said the wanted a simple pediment for their new front porch. They left on vacation and when they returned, their new porch had a lovely low pitched covering complete with a pediment, reminiscent of the greek style. Of course, it wasn't at all what the customer had in mind. They thought a pediment was platform with one or two steps up to it and no covering at all. The extra cost was $8,000. It would have been best to describe what they had in mind, or better yet, shown the builder a drawing or photograph. This brings us to our next point, specifying the details. You can tell your professional you want to remodel your kitchen and leave it at that. You could add that you want to minimize the costs, and that would help a bit. But it would be a miracle if you got what you wanted or expected. It isn't enough to say you want new cabinets, or new cherry cabinets or new cherry cabinets made by XYZ company. You won't get what you really want unless your specify everything. 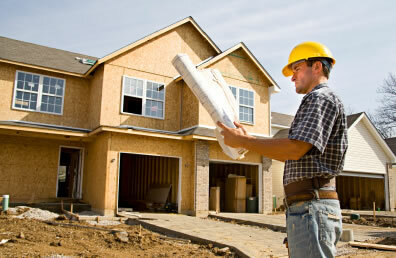 The details of the project are what will make the project fulfill your dreams and expectations. Don't send your professional off to start working until you have specified everything. The details are where people often get bogged down. There are so many things to consider. Your builder doesn't want to waste their time contacting you every time some little deistic needs to be made. They are going to make many decisions for you. Sure, if they think it is something important to you or something they don't want to be "on the hook" for, they'll ask you. But they aren't going to use formaldehyde free insulation, unless you specify it. They aren't going to use maple hardwood where inexpensive pine will do, unless you specify it. They are going to take the path of least resistance, they will use the materials they have ready access to and they are already familiar with. Another option to specifying every last detail is to take responsibility for it yourself. For example, in the restoration of my 100 year old home, I had some specific requirements for material. I specified that only douglas fir was to be used for any exposed interior wood, to match the existing wood. However, there were details that were just too much to expect from the builder. We wanted the drawer pulls on the new cabinets to match those elsewhere in the house. All of the old drawer pulls are tarnished brass. Our builder would have probably chosen "antiqued brass" as a close match. We wanted brass pulls that were unlacquered, so that they would tarnish and match the old pulls after a short time. This detail was important to us and so we could have either specified that the builder needed to locate unlacquered three inch brass shell pulls, or we could get them ourselves and provide them to the builder. In the project description, we listed "drawer pulls to be provided by homeowner". By handling it ourselves, we got what we wanted and we saved money. The savings came from not paying the builder's mark-up on the special pulls, from not paying the labor rate for the builder to research and purchase the part and by specifying that "the homeowner would provide them", the builder didn't buy pulls that would later be replaced with our own.. Whether it is the builder's responsibility or yours, get everything important down on paper and into the project description. No important detail is too small. Do exhaustive brainstorming so that you can add everything you want to your project, in advance. Use visual aids to make certain your professional understands what you expect. Research the products by seeing them in place, such as in a showroom, mock up room sizes by making a chalk outline in a parking lot, visit buildings with similar dimensions, designs and features as you will use. Follow these four steps and maybe you will be able to say that your project came in under budget.